Minkomatic Feed Trucks for 50 years! 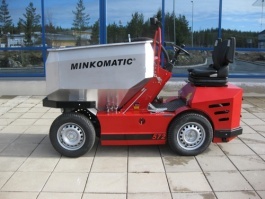 Minkomatic feed trucks have had a history of being trustworthy machines for over 50 years, and are currently produced in a dozen different models with many custom accessories. Minkomatic are the world's most widely used feed trucks, and are exported to many countries. Strong and robust – lightweight and smooth! 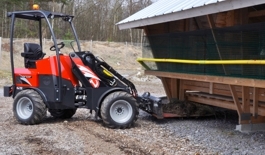 Norcar mini loaders are compact and designed to have as low a centre of gravity as possible, which lower the risk of tipping over with Norcar mini loaders, even in difficult terrain.